Shire Cubby Playhouse is a lovely Children's Playhouse in the garden. Attractive and cosy - it really can be surprising how attractive a Playhouse is to children and can really get them exercising outside in a healthy atmosphere whilst they are having great fun. 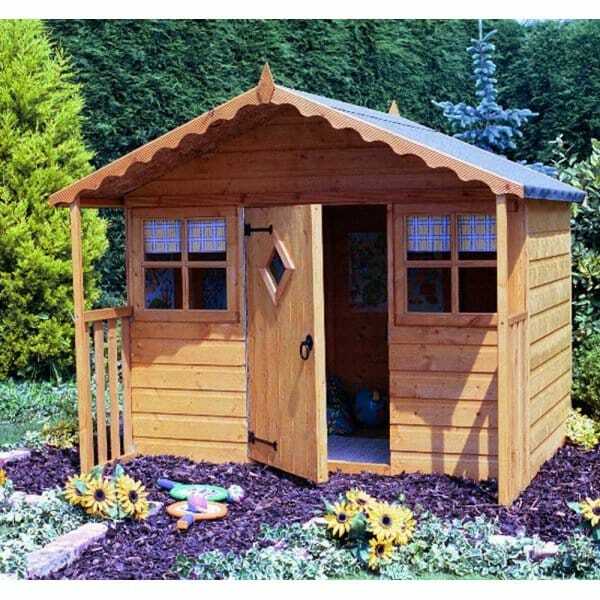 The simple design of the Shire Cubby Playhouse really appeal to the young eye and whether the Playhouse becomes a Dolls House or a Fort they really do value a space of their very own!